Old Santa Cruz - Mt. Charlie - Summit Rd. Thanks to Will Von Kaenel, with help from Bill Bushnell, Frank Drobot, Mel Dutkiewicz, Joe Fant, Ken, Scott Krahn, Dan Pankratz, Lynn Sestak, Kevin Smith, and Lynn von Kaenel for making today's climb possible! 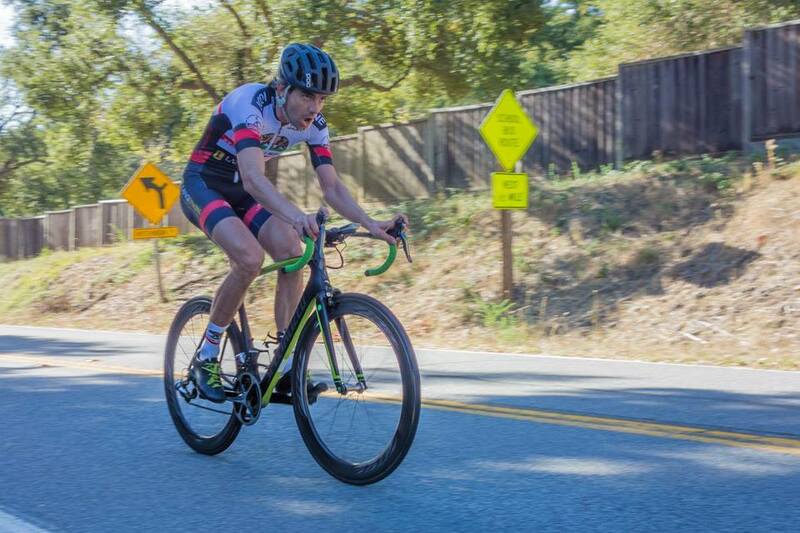 Week 4 of the 2016 Low-Key Hillclimbs introduced the series, and many of its participants, to a new climb, cleverly curated by coordinators Will and Lynn Von Kaenel. Low-Key has long wanted to visit these hills, on the eastern side of Sunnit, but many of the roads are a bit too short. The solution here was to string together three roads to create a climb longer than would be available otherwise. A big story of the day was Low-Key absolutely dominating the Strava leaderboard for this climb. In the score table, orange indicates a time which would have KOMed the segment we have which approximates the Low-Key route. Of course the segment differs somewhat from the actual end-points used in our timing, but nevertheless, it's safe to say these roads had never seen anything quite like today's fun before. To the results: in the team competition it was again Easy Riders over Sisters and Misters with a surprise 3rd place from DNA, a Genentech-based squad. Easy Riders had 5 of the top 6 male finishers today, led by Nicholas Wallace, with Sisters and Misters' Hanns Detlefsen in 2nd. Paul Dixon was third. Easy Riders also had the top woman, Katie Quinn, with Sisters and Misters' Amy Cameron making her 2016 debut with 2nd today. DNA's Kathleen Abadie, in her first Low-Key, and maybe first race ever, was third, her teammate Florence Chardon just one second later. Bill Bushnell tore up the roads in his hybrid-electric, the fastest of all participants. Super thanks to our coordinators Will and Lynn Von Kaenel, as well as the super-crack group of volunteers, for another week of Low-Key success!! !